MyHeritage announced the publication on MyHeritage Super Search of seven large and significant historical record collections from the Netherlands. These collections have been added to their existing collection of Dutch records. The new collections total over 116 million records, cover about five centuries and fascinating periods in Dutch history. 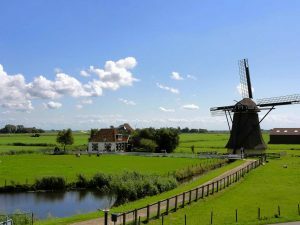 During this timeframe, the Netherlands’ population grew from an estimated 1 million people to over 4.5 million inhabitants. Included are a census-like collection called “population registers,” a set of vital civil records (civil births, marriages, and deaths), and a set of vital church records (baptisms, marriages, and burials). These records typically list the name, birth date, birthplace, residence date, and residence place. Sometimes an individual’s age, occupation, and names of their parents or spouse is also included. This collection is an index to civil birth records from throughout the Netherlands. Records typically list child’s last name, parents’ names, and child’s birth date and place. In some cases, the names of witnesses may be provided. This collection is an index to civil marriages records from throughout the Netherlands. Records typically list the name of the bride and groom, their birth dates and birthplaces, occupations, parent’s names, and their marriage date and place. Some records include the names of former spouses and the names of witnesses. This collection is an index to civil death records from throughout the Netherlands. Records typically list the name of the deceased, age, death date and death place. Some records have the name of the deceased’s parents and/or spouse listed. This collection is an index to baptismal records from various churches and localities throughout the Netherlands. Records typically list a child’s name, baptism date, birth date, and parents names. This collection is an index to marriage records (marriage banns and marriage ceremonies) from various churches and their localities throughout the Netherlands. Records typically list the names of the bride and groom, their marriage date, residences, and religion. This collection is an index to burial records from various churches and localities throughout the Netherlands. Records typically list the name of the deceased, burial date, and burial place. Some records may also list the deceased’s age, birthplace, and names of possible relatives.